The Disability Resource Center is a consumer controlled and community-based agency that provides services and supports to individuals of all ages with any type of disability. A minimum of 51% of the Board of Directors and Staff Members must be persons who have disabilities. 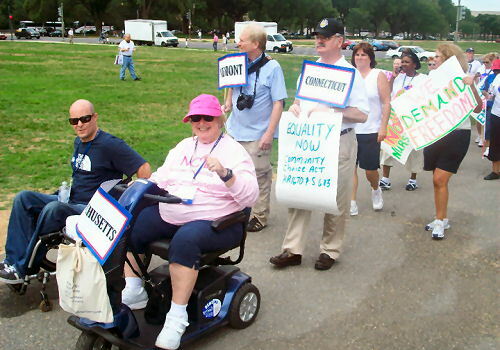 Directors and staff provide leadership and serve as role models of successful Independent Living (IL). Consumers select their goals and work at their own pace to achieve accomplishment. The Disability Resource Center (DRC) incorporated as a not-for-profit organization in 1987 “to provide social services, information and referral, peer counseling, advocacy and independent living skills development services for individuals with severe physical or mental disabilities residing in the North Shore and Cape Ann areas of the Commonwealth". The DRC emerged from the North Shore Self Help Group (NSSHG), which began in 1980 as a local chapter of the Project in Self Advocacy of the Commonwealth. 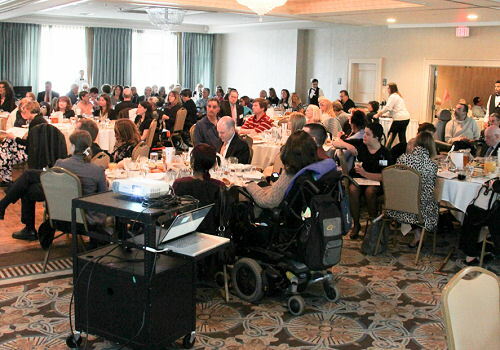 NSSHG brought disabled individuals together to share experiences as peers and to advocate for their rights to participate freely in the community. 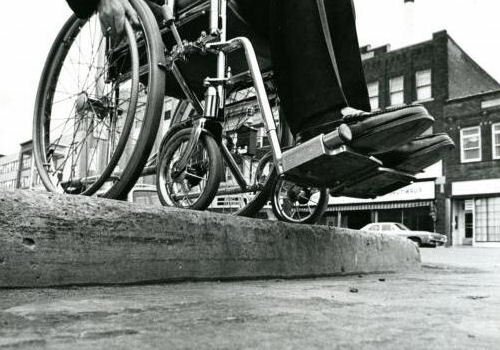 When the Massachusetts Rehabilitation Commission sought to create new Independent Living Centers in the mid-1980s, members of NSSHG responded quickly to improve and expand the delivery of services to those who lived with disabilities on the North Shore and Cape Ann by creating the Disability Resource Center. The many valuable learning experiences of the NSSHG are reflected in the Mission of the Center today. Built by disabled people, for disabled people. 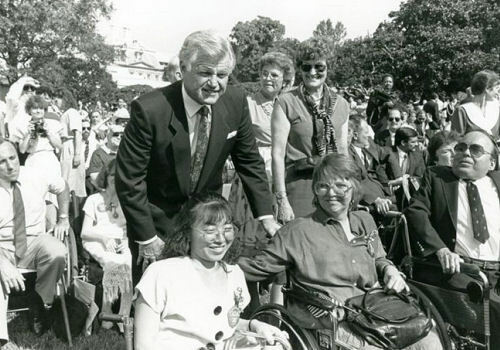 When the Massachusetts Rehabilitation Commission sought to create new Independent Living Centers in the mid-1980s, members of NSSHG responded quickly to improve and expand the delivery of services to those who lived with disabilities on the North Shore and Cape Ann by creating the Disability Resource Center. Our first Incorporation, dedicated to advocacy of the Disabled in the Commonwealth. The DRC organizes and supports collective action by people with disabilities aimed at positive social change, the elimination of discriminatory barriers, and the creation of supportive and fully accessible community environment. The DRC fulfills this mission through a combination of self-advocacy services and community action. Self-advocacy services are designed to enable participants to develop the skills and knowledge necessary to achieve personal independence. DRC embraces the independent living philosophy and its core principles. DRC is guided and controlled by consumer involvement throughout the organization. This assures consumer interests are followed in achieving community integration, self-determination, equal human rights and dignity enjoyed by all citizens of the community. DRC periodically assesses consumer needs and service resources within its service area in order to assure its programs are responsive to, and reflective of, those needs. Individual services are designed and arranged with consumer direction in order to meet the wants and needs self-identified by each consumer. People living with disabilities have the best opportunity to develop the knowledge and skills to thrive in their community through engagning with others in their community. DRC encourages the use of community services by people living with disabilities. Activities sponsored by DRC are located in environments accessed by all citizens. DRC provides and advocates for services in the least restrictive environment in residential, vocational, social, recreational and personal services. As a center for independent living for persons living with disabilities DRC provides the information, support, and resources needed to assist people with to live, work and recreate alongside their fellow citizens in the community.